What are the Accidents at Work that Occur in Waste Management? In the UK the Waste Management sector is one of the most dangerous sectors for employees to work in. This is not only because of the immediate dangers present but because unlike other hazardous occupations within other industries, this sector has many additional problems associated with it which are not apparent until long past the time at which the problem started. In layman’s terms illnesses associated with the waste management industry can take a lengthy time to surface due to the exposure of hazardous waste. What are the Types of Accidents that occur in Waste Management? The types of accidents that occur in the waste management sector can be widespread and diverse. The most common injuries that occur are strains, sprains as well as wounds and dislocations. However, the area of damage can be anywhere on the body, including the head, spine, etc. Although, most of these injuries listed above are superficial and can be fixed with little or minor treatment, the amount of concussions and internal injury and illnesses are actually far higher than many other sectors. The cause of these injuries/illnesses can be highly varied and range from poisoning, effects of sound and pressure as well as shocks and various other causes. How Severe can Accidents in the Waste Management Sector be? The severity of the accidents occurring in the waste management sector is also much higher than in the other industries. However, most of the injuries are not permanent. NACE data shows that temporary absences account for a majority of these accidents (95.4%) followed by permanent incapacity to continue working (4.4%), while fatal accidents account for around0.3% of the total figures. While most of these accidents occur in the age group of 35-54, it is seen that most of them occur to the relatively lower age group as compared to the more experienced elder groups. Have you suffered from an Accident at work? 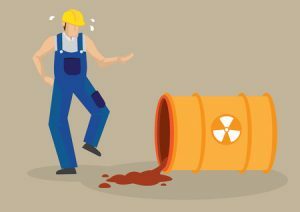 If you work in a waste or recycle workplace and if you work in a waste or recycle workplace and you have suffered from an accident you will want to find out how to make a compensation claim and look for some accidents at work compensation examples to see what you could claim. Its very important as you could have life time lasting injuries and you might need medical health care the compensation can cover medical expenses as it can be expensive. What are the Causes of Accidents at Work in Waste Management? Waste management is more than just refuse collection. It involves recycling and corrective measures as well. As such, since the scope of work activities are quite diverse, the kind of accident relates to the field of work. For example, the dominant form of accidents faced by refuse collectors (~70%) is related to transport. By comparison, the other sectors have different forms of predominant accidents. However, the most common form of accident observed in relation to the waste management industry is with handling. Handling is a loose term encompassing accidents like lifting, moving, cutting etc. This is about 45% of all accidents reported. Other major accidents include slips and trips (26%) and getting struck by falling objects (10%). Waste management injury and illness incident statistics illustrates that the waste management industry has a much higher rate of affecting the worker’s well-being than any other industry. In fact, while the average for all sectors stands at 24.2% for work affecting the health of an average worker, it is 36.9% in the waste management sector (NACE data). Not only that, the physical risk factors are also significantly higher regarding the waste management industry. For example, while the risk of working in low temperature is at 25.2% across all sectors, for the waste management industry, it is nearly double that figure at 50.2%, while the risk of handling infectious materials is at 30.1% within the waste management industry against the usual figure of 11.3%. Also visit the HSE waste management statistics page. What are the main causes of Illness and Injury in Waste Management? The most common form of sickness observed in the waste management workers was related to musculoskeletal disorders. This is connected to the particular risks associated with the waste management sector, including heavy muscle usage due to pulling, pushing and heavy lifting. Other factors which contribute to it are the temperature along with work hours and the repetitive nature of the work, among other things. This entry was posted in News, Work Accident Claims on July 21, 2017 by admin. In a recent study on waste management, it was estimated that the EU processes as much as half a billion tonne of waste annually. Needless to say, these kinds of statistics give this matter a very important role in not only society but the entire world. As such, the European Federation of Waste Management and Environmental Services (FEAD) were created to represent the waste management industry in the European Union. What are the European Federation of Waste Management and Environmental Services? The FEAD is a very big organisation that includes the national waste management firms in 18 EU national states along with Serbia and Norway. Not only that, they are the major shareholders in EU with 60% share in the household waste sector as well as more than 75% share in the industrial waste management sector. In fact, they represent over 3000 organisations in the EU employing 320,000 employees with an annual turnover of €75 billion. Not only do they control one of the largest waste management programs on Earth, they also operate more than 2400 sites associated with recycling, over 1100 composting sites, and more than 900 controlled landfills. What part does the UK play in Accordance to the FEAD? The UK is one of the most important Country’s in the EU, and as such, leads an important example in following the standards set by the FEAD. In fact, FEAD constantly helps the UK form better plans needed in order to lead the path to a sustainable future. A 2010 report, FEAD advised the UK government to focus on improving its waste to energy ratio which then stood at 1.5%. By 2014, the bioenergy and waste to energy ratio rose to as much as 7.9%, a drastic improvement. Not only that, FEAD also advises the UK in matters regarding environmental concerns when it comes to waste management. 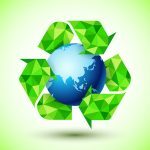 For example, a recent report by FEAD and the ESA, the trade body expressed concerns that the current definition of the term ‘recycled’ is dated and needed revision under the EU’s Circular Economy package. They urged the government to set a more stringent recycling target plan and implement it in the near future. What is the Main Focus of the FEAD? The FEAD is a leading organisation that aims to play an important role towards the improvement of the environment in Europe. While most of the conventional forms of dealing with waste today are recycling, digestion, heat treatment, etc. the members of FEAD are trying to constantly find newer ways of doing the same in a sustainable manner. From ensuring efficient resource usage to the reduction of energy consumption to even tackling soil demineralisation, the FEAD plays a major role in a lot of capacities. Most of the shareholders of the FEAD are well established and eminent firms which have seen the progress of modern civilisation and have realised what an important role waste management plays in today’s world. What are the Laws and Legislation Issued by the FEAD? FEAD has paved the way for creating a European society where recycling takes the centre stage. This is all the more important because Europe as a developed region produces a great deal of waste annually. As such, its 5 stage Waste Hierarchy in the Framework Directive (2008/98/EC) lays down clear foundations for improving recycling markets. Additionally, it also ensures that fair competition is observed between the various parties participating in the waste management programs since competition is one of the most important motivators for better and more efficient solutions. This entry was posted in News on July 3, 2017 by admin.